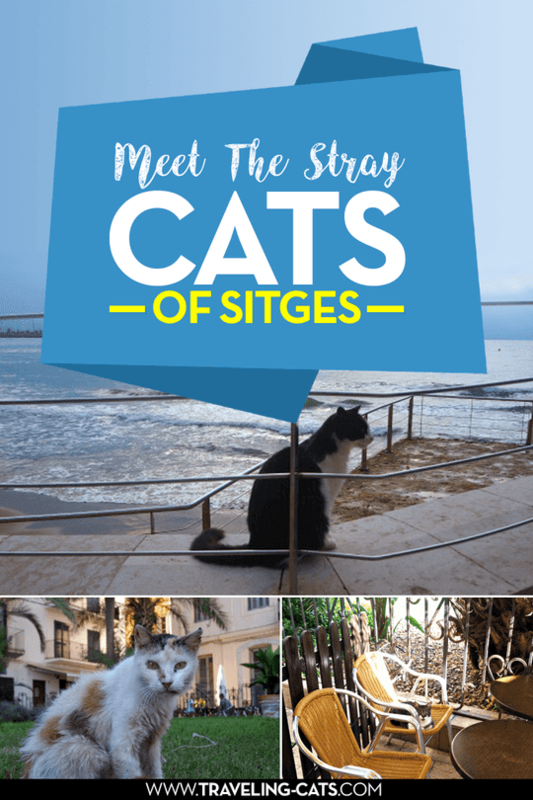 My favorite place to see feral cats in Sitges, Spain, is near the statue of the Spanish painter, poet, and playwright Santiago Rusiñol. 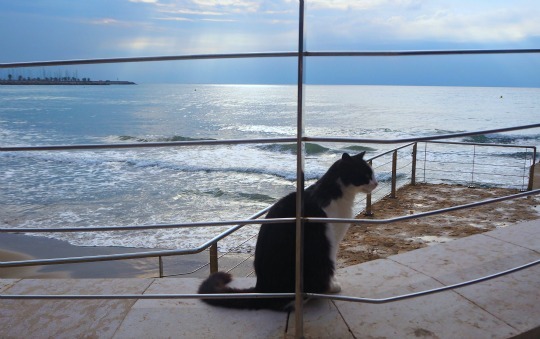 The cats live on an enclosed lawn with a view over the promenade and beach. 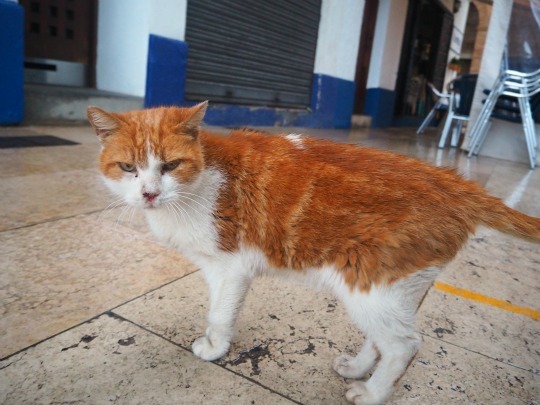 The town council feeds them daily, and all the cats have been spayed or neutered. 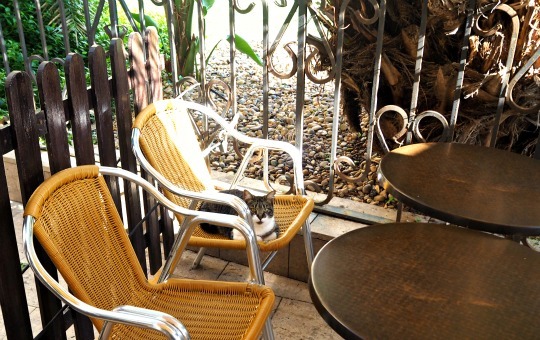 The area is surrounded by bars and restaurants, so you can watch the kitties while enjoying tapas and a refreshing drink. I don't think the fence will stop them from roaming outside, but that was nice that they got feed daily! That is nice that they are well looked after. Have a terrific Tuesday. 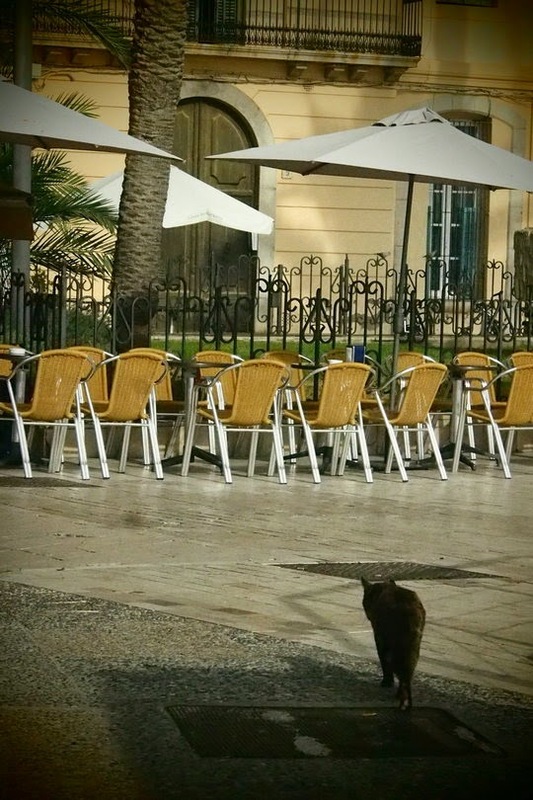 Looking at the grey dank day here makes us wish we were in the sun at Sitges too. Beautiful animals, especially that black cat. Thanks for sharing at this week's Wordless Wednesday (on Tuesday). You have some great models for these pictures! That is such an interesting place. 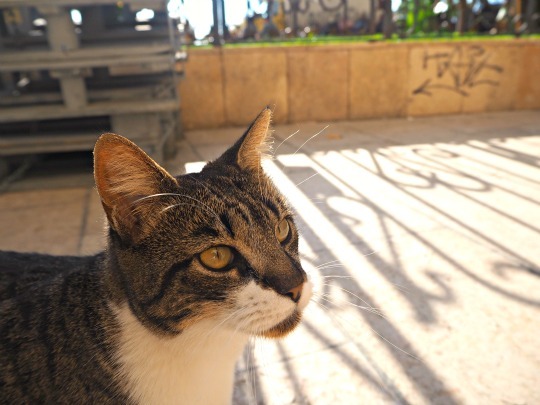 Knowing Spain and their "love" for animals, I only hope that the cats are all neutered ! Fortunately they all look quite nice ! we iz knot on facebook sew we enjoy see in everee one heer !! OMC Dat first kitty needs sum gwoceries and fast. They awe fur suwe vewy cute. And dat's a pawsum little house there. The first kitty looks a bit sickly, but the rest look very healthy and happy. Happy that they are some of the luckier ferals with humans who are looking out for them...that first guy looks like he's had a TOUGH life! Oh that first one looks like such a ragamuffin. It is great that they are being fed. Poor sweet kitty in the first photo really needs a bath! They are all beautiful! Such great pictures. 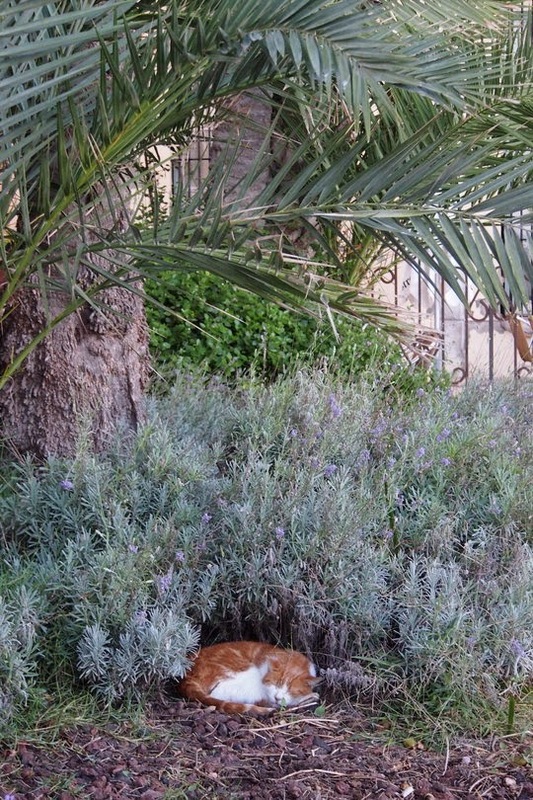 Seeing feral cats all over reminds me of living in Italy and I hope they get some love from cat lovers near them, especially that first one! That first cat is clearly an old battle-scarred veteran of the streets. A real survivor! I wonder if they are neutered? I remember reading somewhere that one cat can produce many thousands of offspring in a lifetime. We are gld folks there care of them. They're all beautiful, thouygh the first one looks to be quite a survivor. That first kitty looks a little rough. 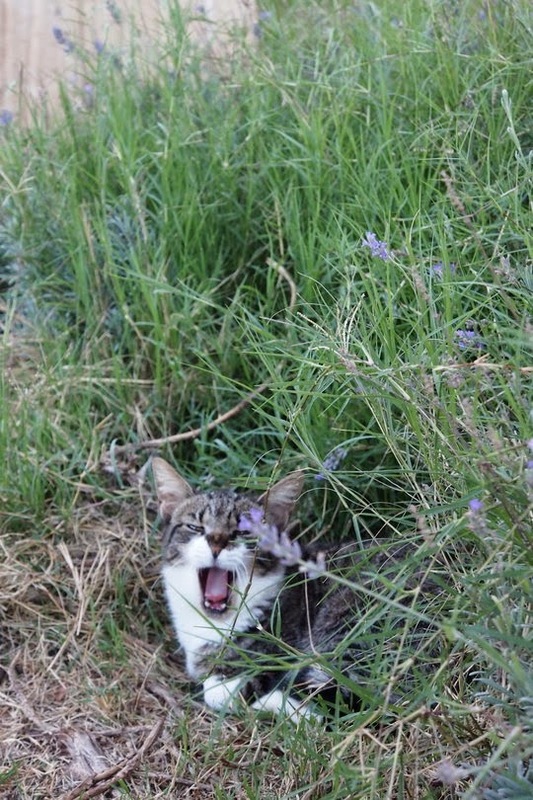 we have a bunch of cats on our Parliament Hill that someone has been taking care of for years. I think the original person who started passed away, and someone took over after that. It's nice to see the cats when you visit. That first one needs a bath. Beautiful cats but it breaks my heart to see them not have loving homes. At least they get constant meals but I hope they don't get into fights and hurt each other! Spain is a beautiful country. 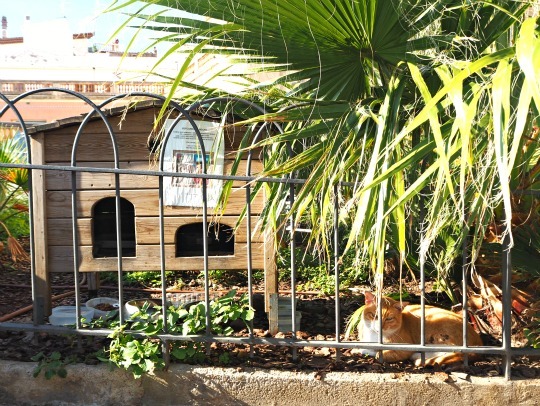 Des chats de la rue peut-être ? 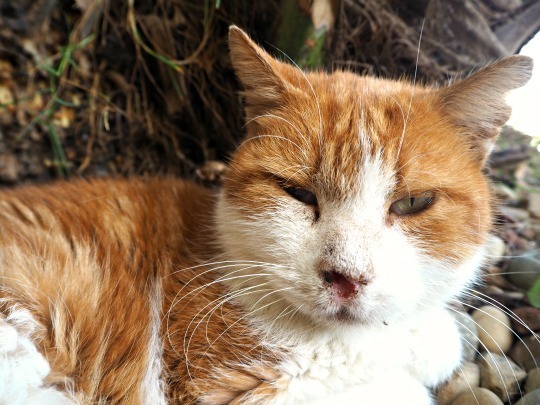 We found the first cat looked as though he had a very hard life and had fought many battles. Mum would have loved to give him a good meal and a cuddle.